SNAFU! : Modest Proposal. The US military needs to be able to render the same aid at home that it does overseas! Modest Proposal. The US military needs to be able to render the same aid at home that it does overseas! I've been banging my head on my desk wondering why we're seeing Texas struggle with getting gear to Houston to assist in the rescue effort. I've punched the wall about 10 times already wondering why the Marine Corps isn't leaning forward and pushing an AAV Company to the area to assist in high water rescues. Then I read this note from JD Strike in response to a pic I posted showing elderly people being stranded in a nursing home, many of them in wheel chairs with water above their waists. Sol, when we had the Hurricane come through Georgia last year, my wife worked EMS at the time for a private company. 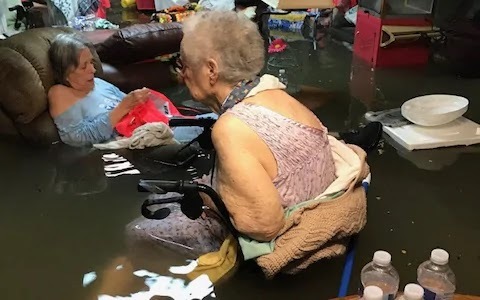 One of the issues she noticed was how the movement of elderly, nursing homes and hospitals had a problem with was finding bed space for all the people to evacuate them. She was heartbroken having to do runs up to the area of Atlanta to random places with a patient. Talking 1 ambulance to move one person 3-4 hours away each way. all in about three days prior to landfall. It is a total shame what we do to our most vulnerable. Add to most of patients are poor and tied to Medicare or health insurance which has to approve/ pay for the movement, its so criminal to leave these vulnerable people to the elements. You would think our military assets for field hospit als could be put up and centralize in an out of the impact area where all these people could be moved to temporarily. Our nursing homes are underfunded and overcrowd as they are. Just sickening. Don't remember the pic? Check it out below. Sadness doesn't describe it. Anger doesn't either. Mix those emotions up and add a bit of rage at seeing people...the elderly being in those conditions and it's wall punching time. Many readers informed me that it's a Title 10 issue. I personally thought that once the President declared a state of emergency those issues went away. I know for a fact that the President has expanded powers due to the terrorist threat to act outside the law to ensure public safety. My modest proposal is simple. We should provide the same aid and the same response that we do for foreign nations here at home. Our military should be forward leaning and ready to act. If that means that laws need to be rewritten then so be it. But the power of the US military must be used to help the American people when necessary. What do I mean? During Katrina the 82nd and elements of the 2nd Marine Division deployed to New Orleans to help out. We should do the same here. God knows enough time has passed that its a no brainer. The units that could assist are numerous and many of them are available NOW! The 101st could provide helicopter support. The Marines could provide AAVs. 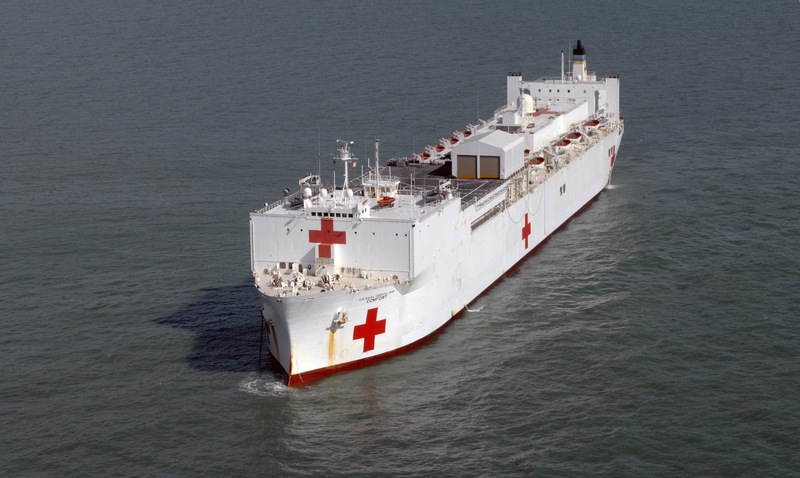 The Army and Navy could provide medical personnel. The National Guard and Reserve could provide security at refugee centers. The list goes on but its frustrating to see emergency after emergency on a large geographic area and the govt respond slowly to the event. We must do better!